New Business – there’s a good chance what you require now is not what will be most suitable in 2 or 3 years’ time. Devices here are sound options for keeping costs sensible, whilst your volumes and requirements are relatively small. With our flexible support packages, we can look to upgrade your hardware, as your business grows. 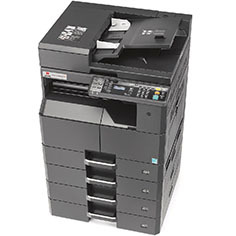 Want to know more about printers and copiers suitable for you?